Democrat Congresswoman Maxine Waters serves in the district right down the road to me — a job she's held since before I was born. Waters has been called a millionaire "poverty pimp", under almost constant investigation for corruption, while her district remains impoverished. Then there's her role in the deadly L.A. riots, including giving a job in her office to the thug who dropped a cement block onto the head of innocent truck driver Reginald Denny. Lately she's been championed on the left as a national hero. Does she deserve that praise? wacko west coast. embarrassing to say the least. seattle, portland, victoria, and waters the california ding dong. putin as always laughing his scumbag head off. The Two State solution movement is gathering steam, there is an article on Fox News about it. Rural California wants to separate from the tyrannical communist cities along the coast. Their justification is that the government of California does not obey the Constitution of the country and the state, hence they have the moral right to separate. They are right of course, but they can only be successful with support from Congress and the Senate. Both have a thin Republican majority for now but there are the RINOs who always support the Dems, like McCain. Simple: Look at their constituents. The “dint du nuffins” elect their own. Just think, if Maxine’s mother could of gotten that abortion, we wouldn’t be stuck with Maxine. Maxine Waters, “I have to march because my mother could not have an abortion”, incredible leftist logic. Just like she is supposedly a great representative of people, comic relief from a leftist “useful idiot” troll who has clearly overdosed on leftist Kool-Aid. … A white politician would never get away with being so ignorant and stupid. 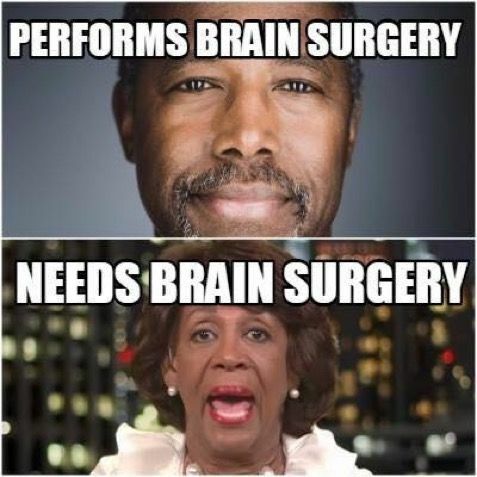 Waters sure has a way of whipping up perpetual victim hood in her district….why doesn’t she house some illegals in her mansion?! If Waters was championed by the Left, then she is definitely a Con Artist. Waters great representative of people.